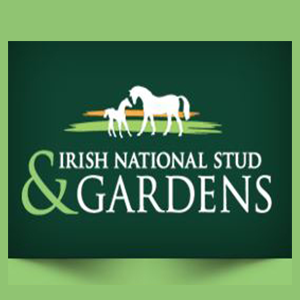 The Irish National Stud, Japanese Gardens and St.Fiachra's commemorative Garden are icons of scenic and panoramic views and amazes visitors since opening. 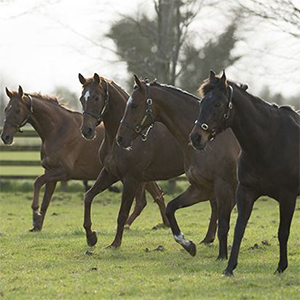 The Irish National Stud (official name: Comhlacht Groí Náisiúnta na hÉireann Teo) is owned by the Irish Government and it is a Thoroughbred horse breeding facility in Tully, Kildare, County Kildare, Ireland which was formally established by incorporation on 11 April 1946 under the National Stud Act, 1945. It belongs to the people of Ireland but prides itself on being enjoyed and appreciated by visitors from all parts of the globe. 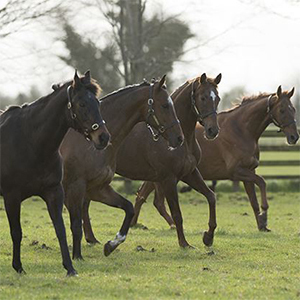 The Irish National Stud is far more than just a centre of equine excellence. It is also home to some of Ireland's finest natural treasures, in particular the breathtakingly beautiful Japanese Gardens, the finest of their kind in Europe. The gardens trace the passage of a soul from birth to death and beyond, at the same time providing a meeting place for the cultures of East and West. Open 7 days a week, 9am - 5pm during the season. Local ingredients are used wherever possible, providing a sound foundation for dishes with distinctive homemade style such as the Beef Hot Pot served with seasoned baby potatoes or Roast Courgette and Goats Cheese Tart. For plainer palates, the huge platter of Irish Smoked Salmon and freshly-baked brown bread is complimented with a selection of her finest salads. Quiche of the day could be ham, leek and mushroom. Vegetarian and gluten-free options are available. Click here to view the exact timetable, admission fees, Season Tickets, Group Rates and the booking details.